At ‘El Paraiso del Burro’ we need our volunteers. The Donkeys need daily care including feeding, grooming, health checks, stabling and contact. They are great animals to be around, each with their own personality, likes and dislikes, routines and friends. Maybe you have some spare time this coming year? Perhaps a week or two in Spain might appeal? Perhaps spending a few days with us here in Asturias? In addition to caring for the Donkeys we also require a great deal of help with other aspects of life here at the Sanctuary such as fencing, clearing scrub land and brambles, apple picking, building and general maintenance, cooking, help around the vegetable plot….the list is endless. Marleen has the philosophy that volunteers can come and make their own choices about the work they do. The accommodation is usually in on-site caravans however, we are still developing the infrastructure so amenities are basic. The food we serve is usually cooked and provided by Marleen but occasionally we have a volunteer who likes to cook and give Marleen some respite. The diet is vegetarian and wholesome. The peace and tranquility that is on offer cannot be bought. It really is a paradise nestled in a beautiful part of green Spain. 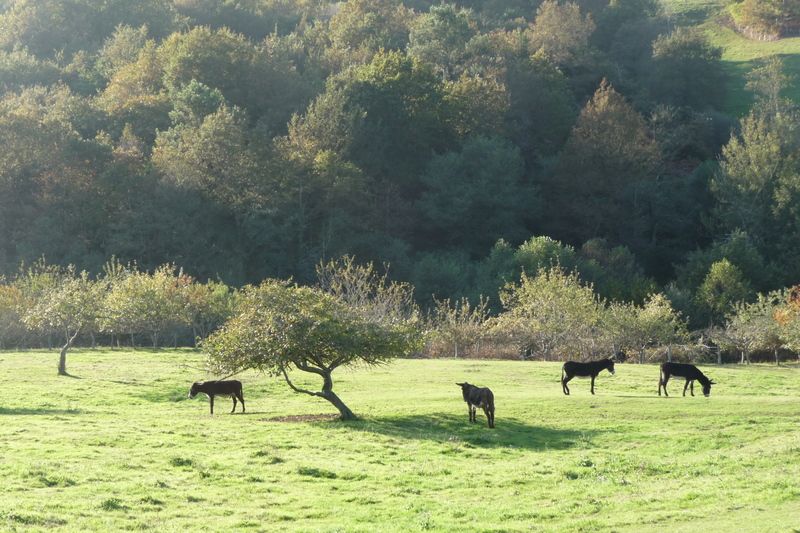 As one of our volunteers recently wrote in the visitors book: “Well, it seems to me as if somebody has thrown a small seed into the country, and the beautiful flower grows very fast in the Asturian soil, carrying the message of love between human and animal. (Timo)”. If you want to visit us or spend some time this year volunteering, please contact Marleen directly at: marleen.verhoef at hotmail.com or find us through the WWOOF programme. We look forward to hearing from you. Volunteers also take the opportunity to enjoy Asturias. 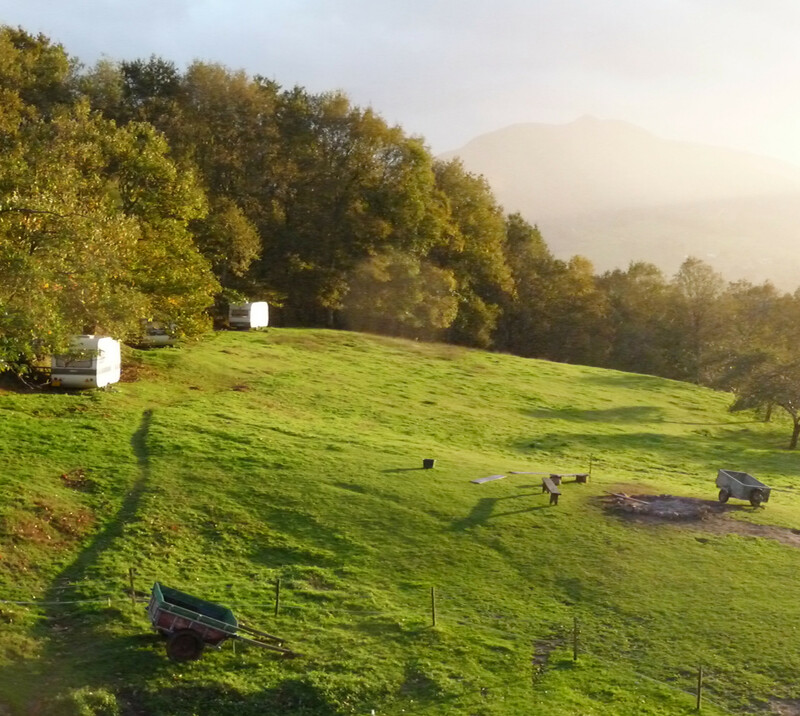 It is a beautiful and impressive area that has miles and miles of unspoilt beaches, spectacular mountain ranges (including the Picos de Europa Mountains), glorious woodlands and forests and an abundance of fauna and flora. It’s not all work here in Paradise! Comments Off on Do you want to Volunteer? It has been another busy year at El Paraiso del Burro with several new donkeys to care for and a lot of ongoing maintenance around the land. We have had a steady stream of Volunteers over the year whose contribution has been greatly valued and appreciated. A great big thank you to all our supporters and volunteers not only to those here in Spain and the Netherlands but also to those who continue to support us from other parts of the world. There is no doubt that 2010 will bring yet more challenges for us here but with good health and hard work we will continue to be happy and content in our work caring for older and retired Donkeys. 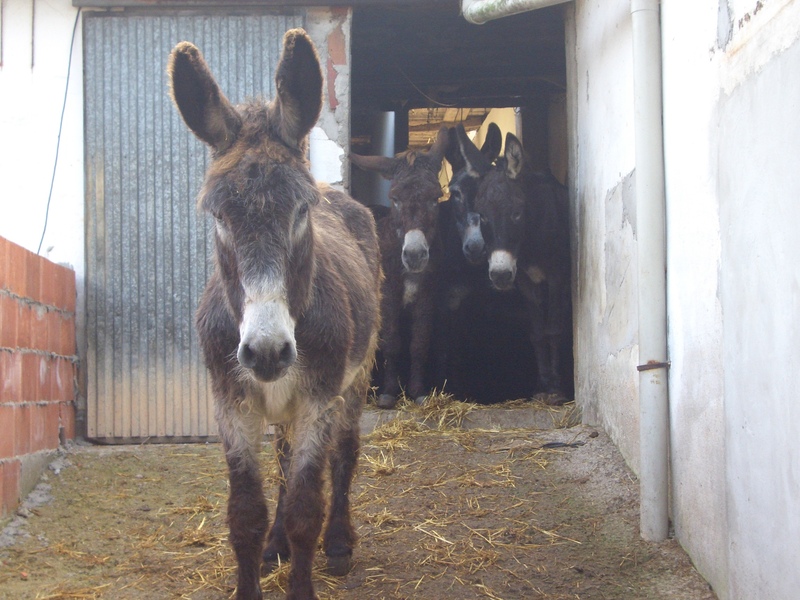 We wish you a prosperous and healthy New Year, best wishes, Marlene and the team…….and not forgetting the Donkeys!